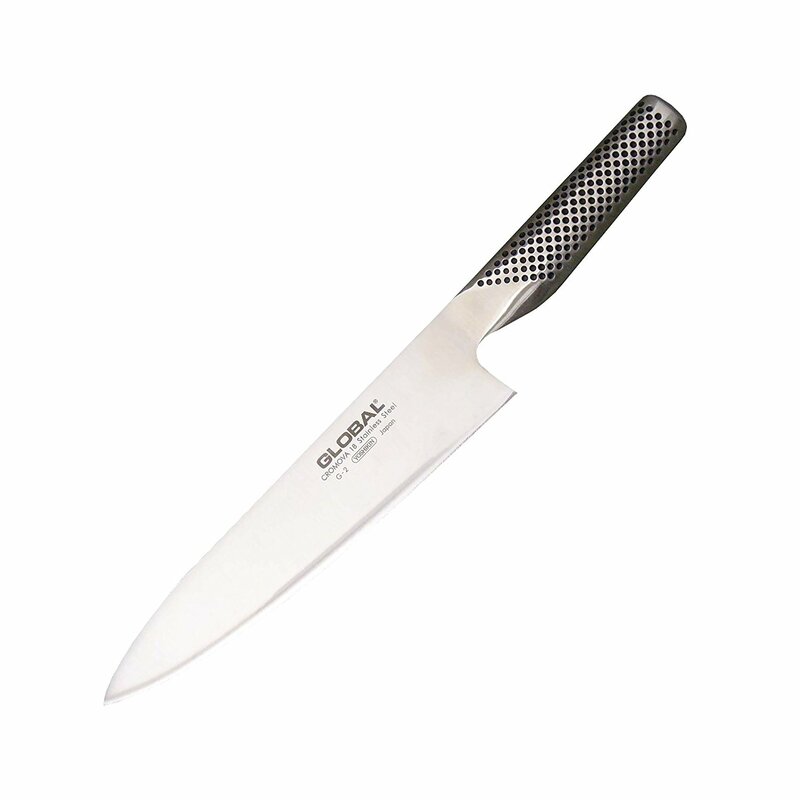 There’s a reason why most chefs love this knife! Global knives are capable of holding a level of sharpness most competitors match. And it is lighter then most other professional knives. While the feel of a nice, weighty Shun is a joy for 30 to 60 minutes, by hour 4 or 5 you’ll wish you’d switched to a lighter blade. From the dimpled handle (anticipating slippery when wet conditions) to a blade made with a unique stainless steel blend that is both hard and yet soft enough to hold an amazing edge, this knife is awesome.